Even though the audience's attention is generally focused on music ensembles that have already been vetted by time, yesterday's concert of the newly formed Camerata Brunensis ensemble in the Historical Hall of the Brno Bishop's Court proved that even young blood can offer a remarkable artistic experience. 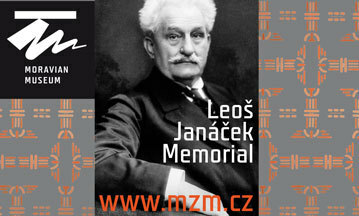 The concert was programmed in cooperation with the Moravian Regional Museum and the Academy of Early Music at Masaryk University, which the Camerata Brunensis‘ artists attend. The ensemble consists of soprano Veronika Vojířová, who performed for example with ensembles like Collegium Marianum, Collegium Floreum, Capella Regia Prague or Cappella Mariana, and the flutist Michaela Durajová, who could be listened to by audiences with the Orchestral Academy of the Brno Philharmonic, the Moravian Philharmonic Olomouc, the Czech Virtuosi orchestra or with the Prague Philharmonic Orchestra. 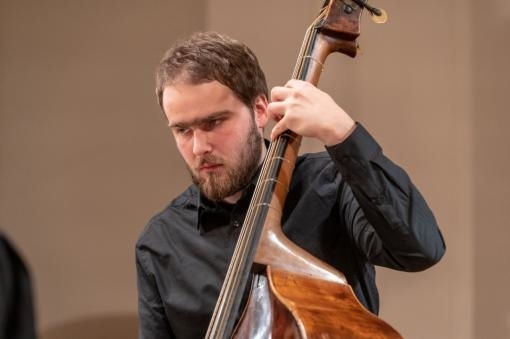 Also, the double bassist and violonist Matyáš Berdych regularly appears with important music ensembles such as Musica Florea, Collegium Marianum and Czech Ensemble Baroque. The backbone of the ensemble is formed by the harpsichordist Jan Hajič, who works as a répétiteur for the Prague choir Vagantes, accompanies concerts and master classes at the Prague Conservatory, and works as a backup organist at the Prague Academic Parish under the guidance of Robert Hugo. The programme of the concert did not suggest that it was a concert of first-year students. We heard the cantatas Die Zufriedenheit and Ihr Völker hört by Georg Philipp Telemann, Suite in B minor Op. 35, No. 5 by Joseph Bodin de Boismortier, the cantata Arion by André Campra, the arias Ach, wie schmeckt der Kaffee süsse from the cantata by Johann Sebastian Bach Schweigt stille, plaudert nicht and the fifth movement named Le Rappel des Oiseaux of the Suite in E minor from the collection Pièces de Clavessin by the composer Jean-Philippe Rameau. All these are relatively demanding compositions that require musicians not only to have advanced technical skills, but also a deeper understanding of the so-called historically informed interpretation. The singer Veronika Vojířová was shining out already in the first Telemann‘s cantata Die Zufriedenheit with her pure vocal without excessive vibrato, she was doing pretty well concerning the intonation, both in higher positions and in deeper ones. She decorated the tones with restraint and at the appropriate places; perhaps only in terms of dynamics, her performance could be a little more varied. She can also be encouraged to increase the expressiveness of her singing, and at certain pitches she had an unnecessarily dark tone, but these were rather exceptions confirming her otherwise relatively well-managed technique. Equally successful was the interpretation of the flutist Michaela Durajová, in whom we may praise in particular consistently separated notes in quick figurations and runs. In certain more demanding passages, she struggled mildly with the intonation and partly also with the rhythm, but these were not big offences. It ought to be remembered that this performer has moved relatively recently to flauto traverso. The violonist Matyáš Berdych was a good support for the ensemble, even though he struggled here and there with insecure intonation, obvious mainly in faster passages. A great praise is ought to the harpsichordist Jan Hajič, who demonstrated his mastery of the instrument above all in his solo performance of Le Rappel des Oiseaux by Rameau. The artist put on a rather expressive pace, and he not only managed to keep it up, but worked with it as needed. His performance was internally organic, and the music itself was not a mere sequence of fast variations, but an original narrative, in which everything was subordinated to the musical message. It is precisely the work with the tempo that is important for solo compositions and Jan Hajič has managed to use to the fullest extent. The concert of the newly established ensemble Camerata Brunensis has proven that not only firmly established and long-lasting ensembles are able to demonstrate high-quality performance. It should be remembered that these musicians are still at the beginning of their careers, so minor inaccuracies in intonation or rhythm can be forgiven. Camerata Brunensis still has a long way to go, but it is definitely a grouping that with a bit of luck and artistic growth of its leaders could at least partially stir up the stagnating waters of historically informed interpretation. 4 April 2019, 6:00 p.m.